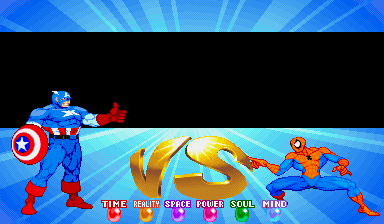 It’s based on the ‘Marvel Super Heroes’ VS. screen, but I’m hoping to have it imitate a few other VS. screens including some that I’ll design myself. What’s irking me now is that I had the player 1 logo working Friday, but it won’t work now. I’ll look for the glitch later in the week. For all I know, it won’t even have the MSH mode by the time I’m done since it’d require MSH-style portraits for the ton of custom characters I plan to add. And while they won’t have custom portraits (yet), they will have custom mini-logos like the ones from MSH and Marvel vs. Capcom. Of course, I’ll have to sneak some of my own characters in the mix, too. BTW: I finally got to read the new issue of 52. Look, I love this series and I love it by the pound. But it would’ve actually been more of a surprise if that character had lived and not died. I know, everything looks less shocking in comparison to Sobek’s impression of Sir Chomps-a-Lot. It’s just that the concept of a male character’s girlfriend or wife dying to fuel the male character’s rage and guilt has been done so much that it’s almost a given now. Then again, it’s not over yet. Who knows what’ll happen and who will come back by the time it’s all said and done.